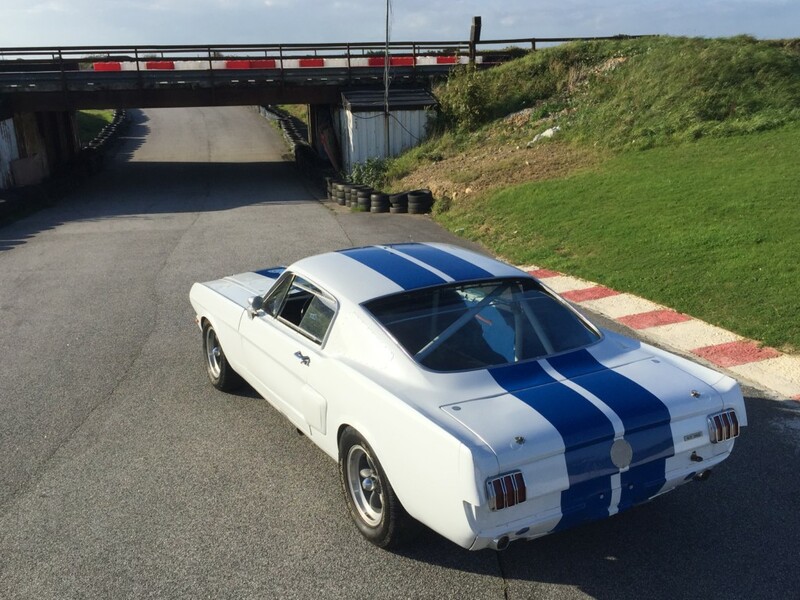 This 1965 Mustang GT 350 R Replica with accompanying F.I.A historic B class race papers is ready to be used on the track or road. This car has just been road registered and comes with a full MOT until June 2018. 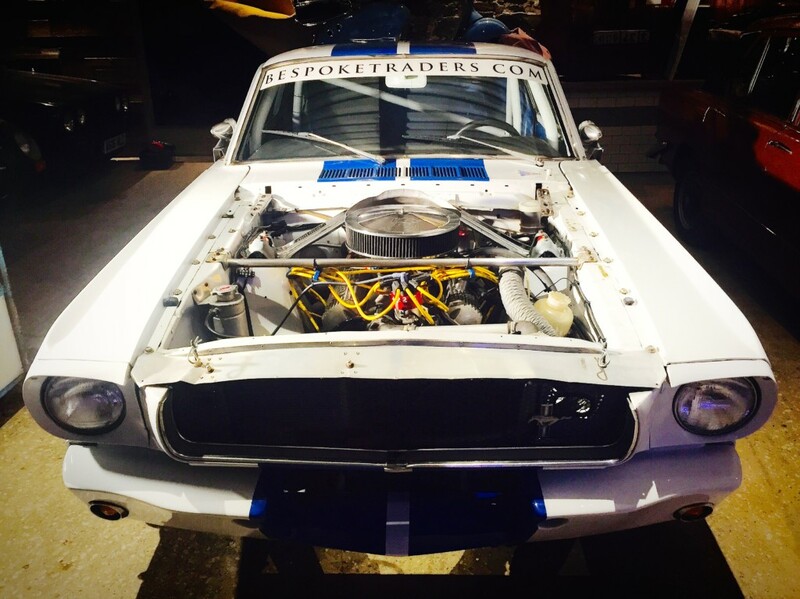 Our Mustang started life as the very sort after Fastback Hi-PO (High – Performance) K Code edition. 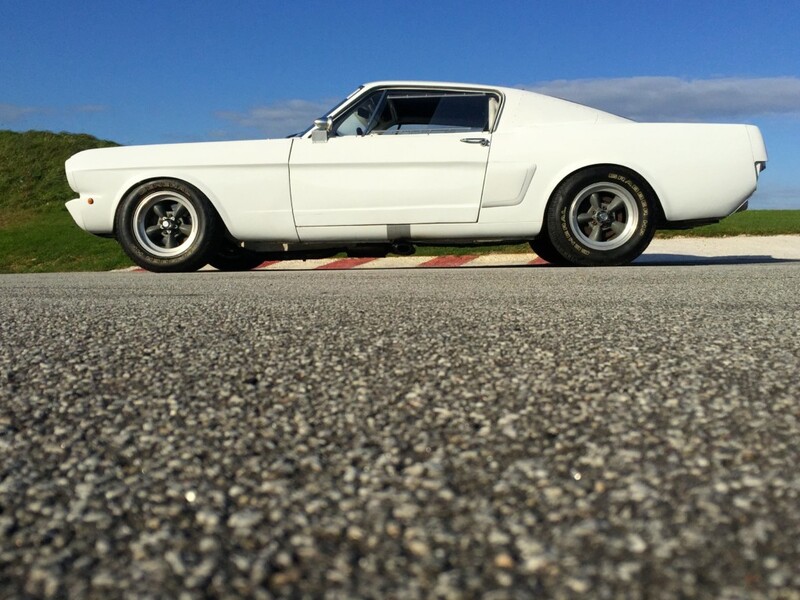 Manufactured in 1966 at the New Jersey plant these are one of the most desirable Mustangs. 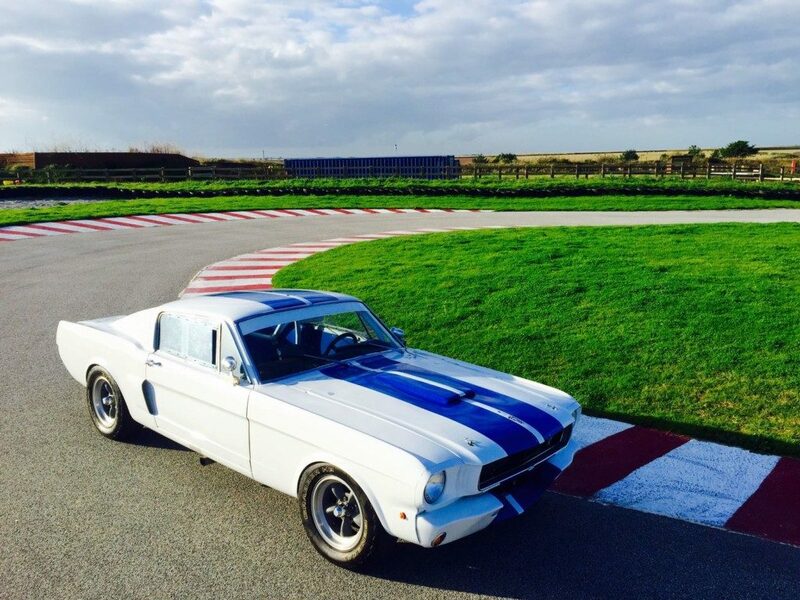 During the 1990’s this mustang underwent a recreation for racing as a GT 350 R Replica. 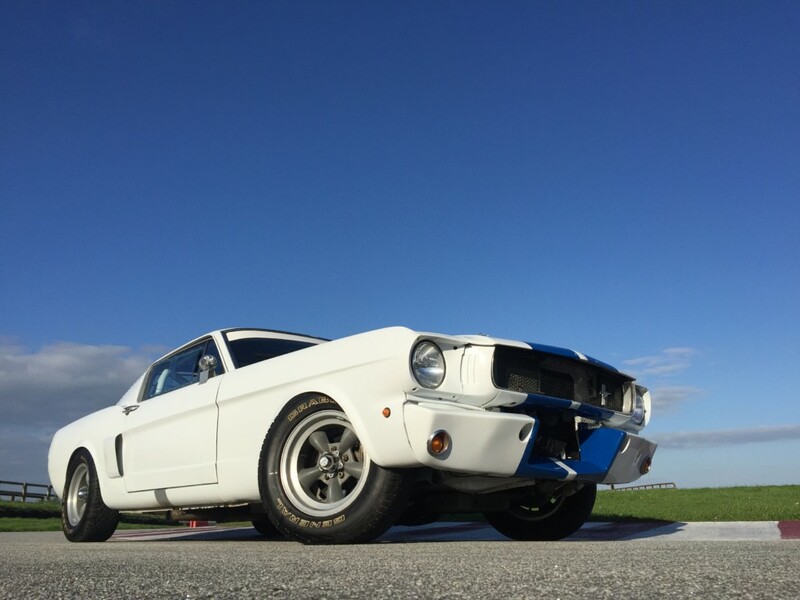 The Ford 289 racing Cobra 4.7l engine situated low in this mustang comes fully built with forged rods and balanced – high lift cams. 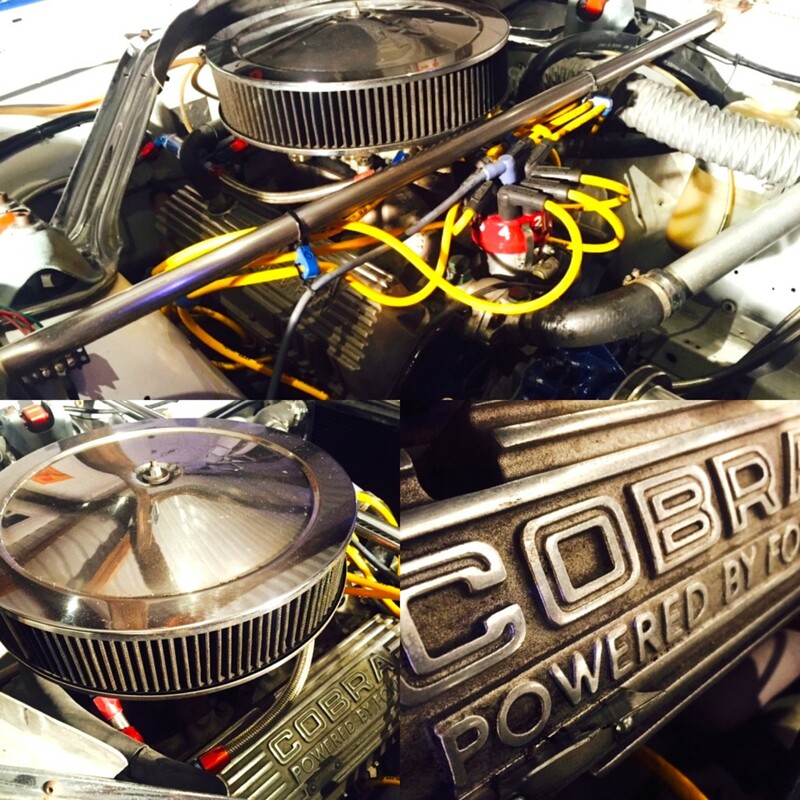 It is also accompanied by various cobra parts such as the Cobra Aluminium Sump with an Eldebroke manifold, double pump carb and racing ignition coil. An oil-cooler has also been added to keep the oil temperature down on spirited drives. 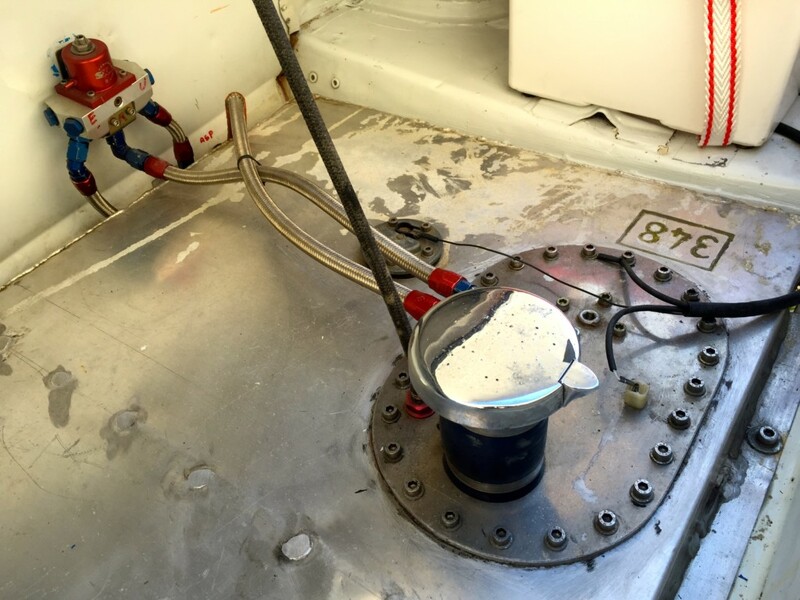 The metric Fuel pump has also been blanked off to allow for two Faccit racing fuel pumps in the rear after the racing fuel cell. 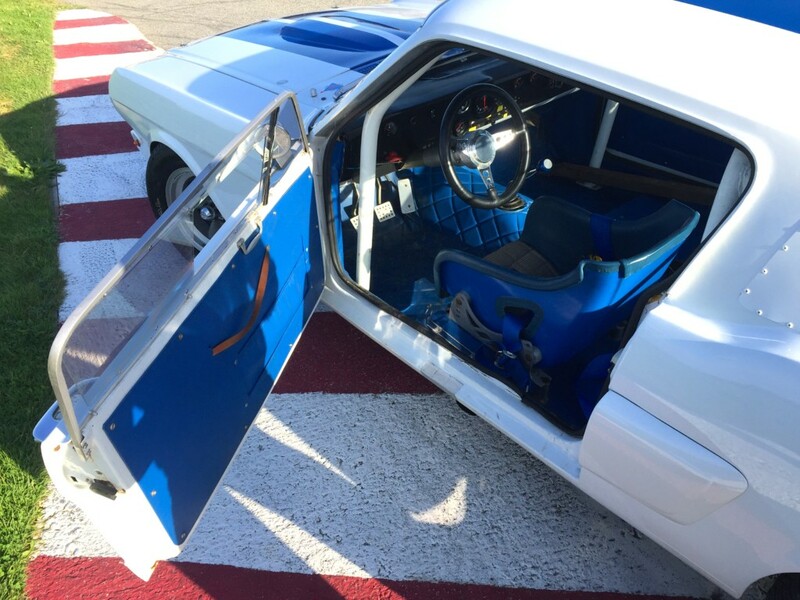 Other additions consist of fully functioning brake ducts, FIA Racing Approved roll cage (1990’s spec), a larger single piece export brace, over axle track bars and traction bars. 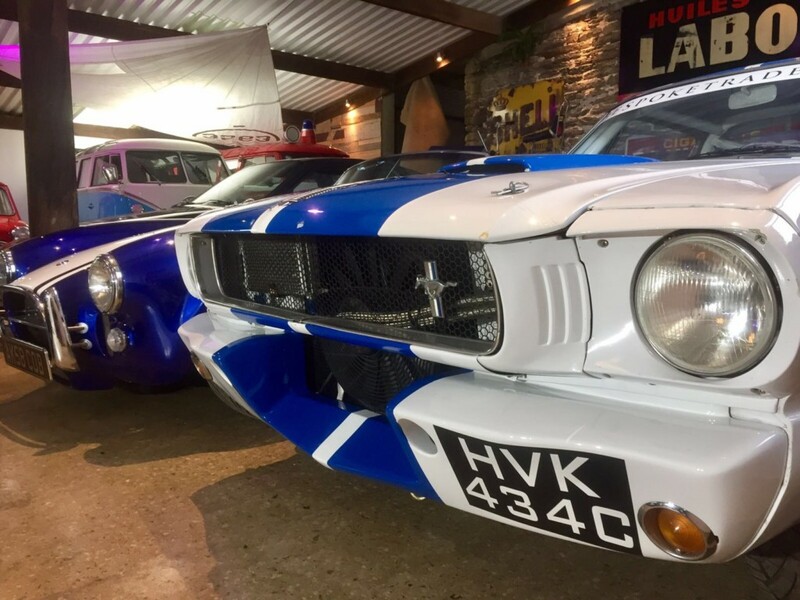 This Mustang has recently been fully inspected, tuned and prepared by Rally Prep in St Columb, Cornwall. They have insured this car runs the way it should and have spent upwards of 1500 pounds to get it up to their standard. 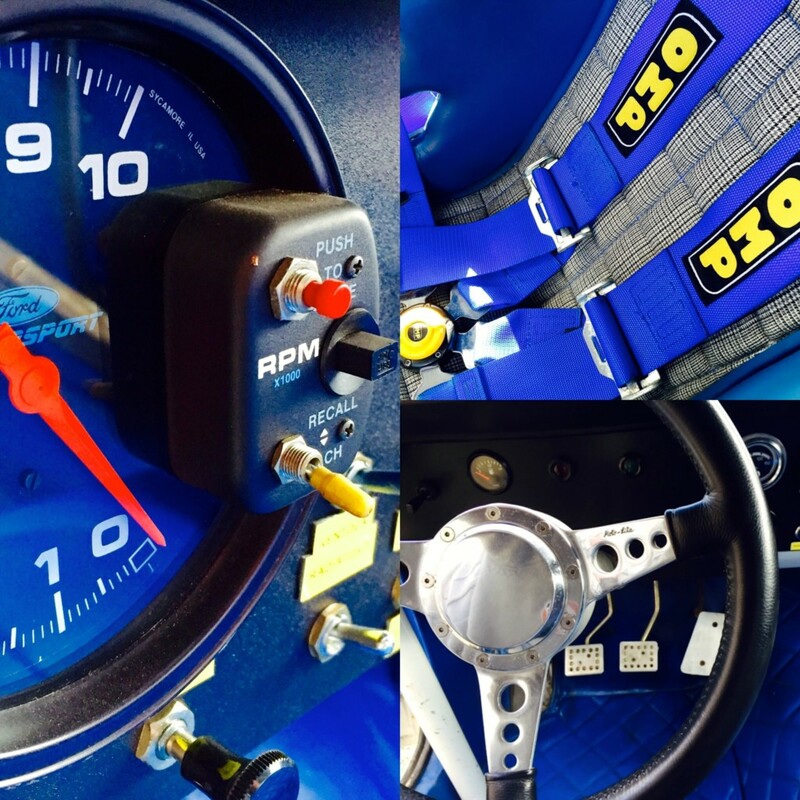 We estimate this car to be running around 400 brake horsepower to the wheels, which in this lightweight car is more than enough to put you right back into your seat! 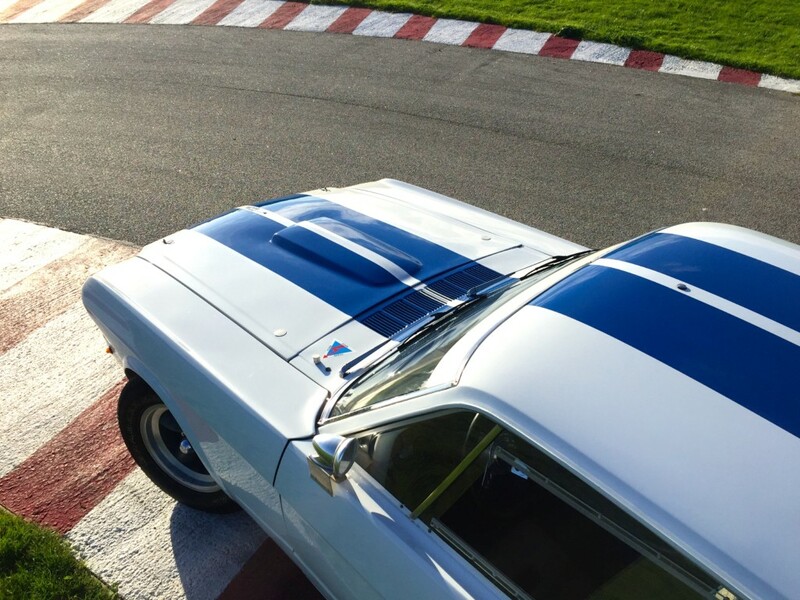 A lot of care and time has been spent on this very uncompromising car and it is a very convincing replica.